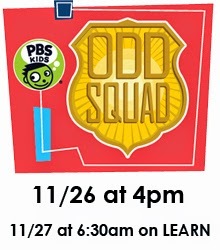 Following its announcement in January, ODD SQUAD, a brand new live-action media property designed to help kids ages 5-8 learn math, is ready to launch with a one-hour special on Rhode Island PBS on Wednesday, November 26 at 4 p.m. and on Learn, tune in Thursday, November 27 at 6:30 a.m. The show focuses on two young agents, Olive and Otto, who are part of the Odd Squad, an agency whose mission is to save the day whenever something unusual happens in their town. A math concept is embedded in each of their cases, as Olive and Otto work together to problem-solve and correct the oddity du jour in each episode. Each episode of ODD SQUAD includes two 11-minute cases in which the agents investigate weird and unusual phenomena around them and use math to put things right. From recapturing a gallon-sized blob that has separated into smaller pieces, to dealing with a slew of unicorns, dinosaurs and wizards that have escaped from books, there is no occurrence that is too strange for the Odd Squad as they face off against various villains that wreak havoc around town. The ODD SQUAD television series is part of a multi-platform media experience that will include free interactive content online and on mobile. 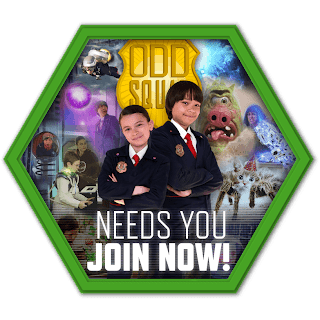 ODD SQUAD’s digital content will put kids in the driver’s seat, giving them the opportunity to sign up and join the Odd Squad, solve cases and stop oddness, just like Olive and Otto. The show’s interactive features will include games, parent resources, mobile apps and more. 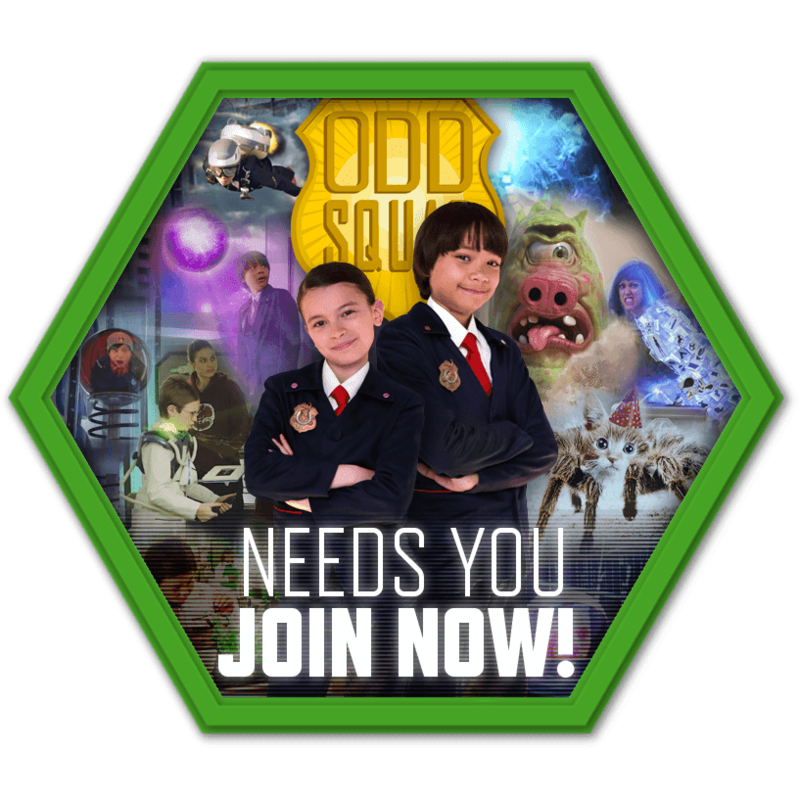 On-air, online and on mobile, ODD SQUAD is created by Tim McKeon (Foster's Home for Imaginary Friends, Adventure Time, The Electric Company) and Adam Peltzman (The Electric Company, The Backyardigans, Wallykazam!) and produced by Sinking Ship Entertainment and The Fred Rogers Company. ODD SQUAD is funded in part by the U.S. Department of Education through the Ready To Learn Initiative, and by the Corporation for Public Broadcasting (CPB).